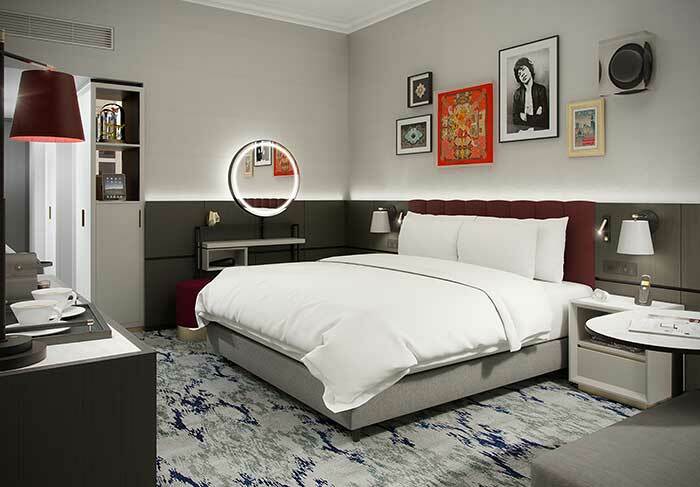 Curio Collection by Hilton launches in the UK with the first hotel in central London. 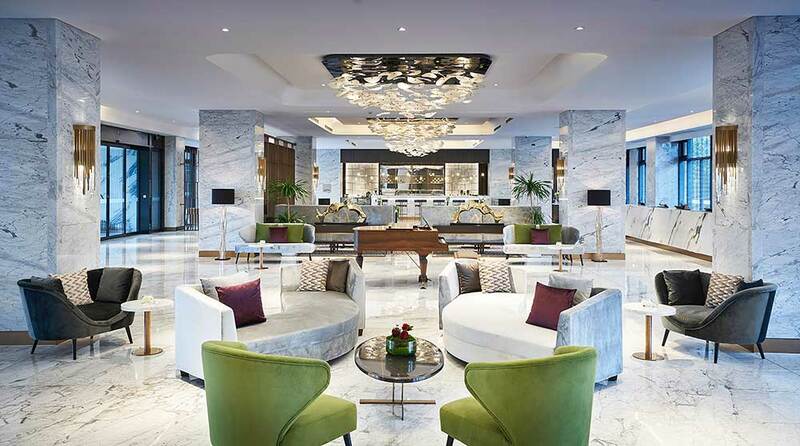 Overlooking the world-famous Trafalgar Square, The Trafalgar St. James, Curio Collection by Hilton, has officially joined the exclusive collection of more than 35 hotels and resorts. As the first Curio Collection by Hilton hotel in the UK, the hotel was hand-picked to be a part of the global, upper upscale collection of one-of-a-kind independent properties all celebrated for their individuality. Nestled in the heart of Central London, on the south side of the world-famous Trafalgar Square, The Trafalgar St. James offers unrivalled proximity to some of the city’s most iconic attractions such as The National Gallery and Theatreland. 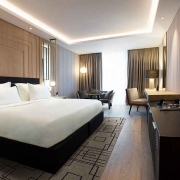 The hotel boasts 131 bedrooms and 15 exquisite suites; each space is artfully accentuated with Art Deco design notes, tactile furnishings and bold colour choices creating a sanctuary of style. 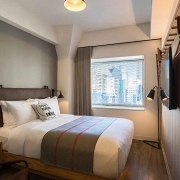 A destination in itself, the hotel offers everything from contemporary bedrooms to a stunning rooftop bar with unrivalled panoramic views over the city, all in the bustle of central London. 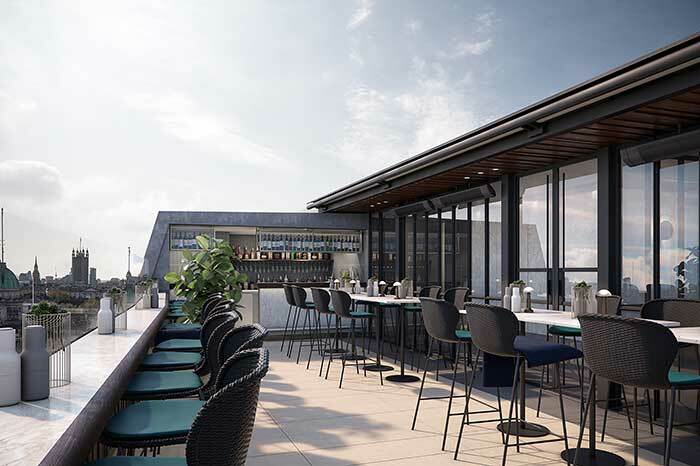 Opening this October, The Rooftop, formerly known as Vista, has been transformed into a year-round destination featuring a stylish lounge and dining area, with a menu full of small plates and healthy eating options. Complete with alfresco and canopy-covered seating, the 378-square-metre sky-high space features an open fireplace, heaters and blanket selection to provide warmth throughout the cooler months. For special occasions and intimate gatherings, Room – a glass-enclosed private dining Room with the capacity to seat 14 people – will be available for hire. 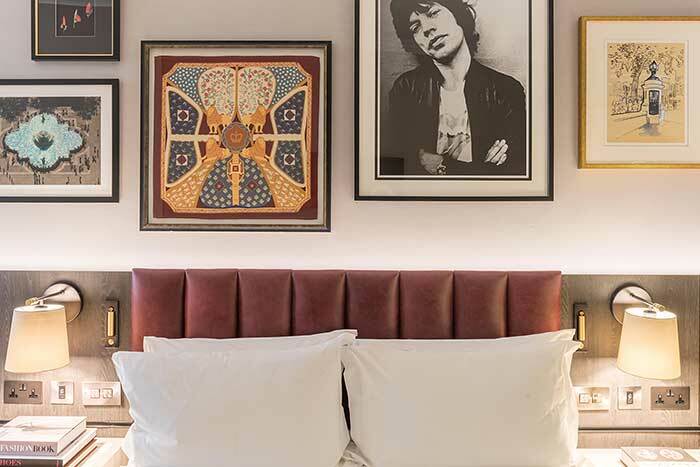 Musical Bedrooms: The bedrooms feature iconic wall art, celebrating the best of London’s music idols. For a classic British experience, guests can choose from an in-room book and tea selection. 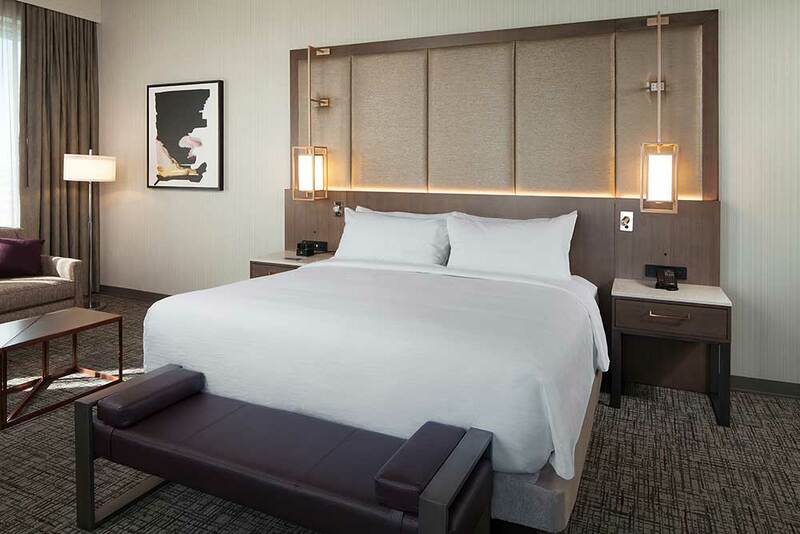 All the Details: Plush beds, LED illuminated makeup mirrors, Nespresso machines and conveniently located charging points have been placed in rooms for a pleasant and convenient guest experience. All Day Dining: Open all day, The Trafalgar Dining Rooms serve Mediterranean food with a London twist. The Rooftop: Set atop London’s iconic skyline on the south west corner of London’s most central point, Nelson’s Column, The Rooftop Bar is counted amongst the world’s finest when it comes to alfresco drinking and dining. Comforts Reminiscent of Home: Biblio, the house living room, located in the hotel’s underground chamber, evokes the intimacy of a private members lounge in a setting that’s open to all. 24-hour Fitness: 24-hour gym access will help guests keep fit at a time that’s convenient for them. 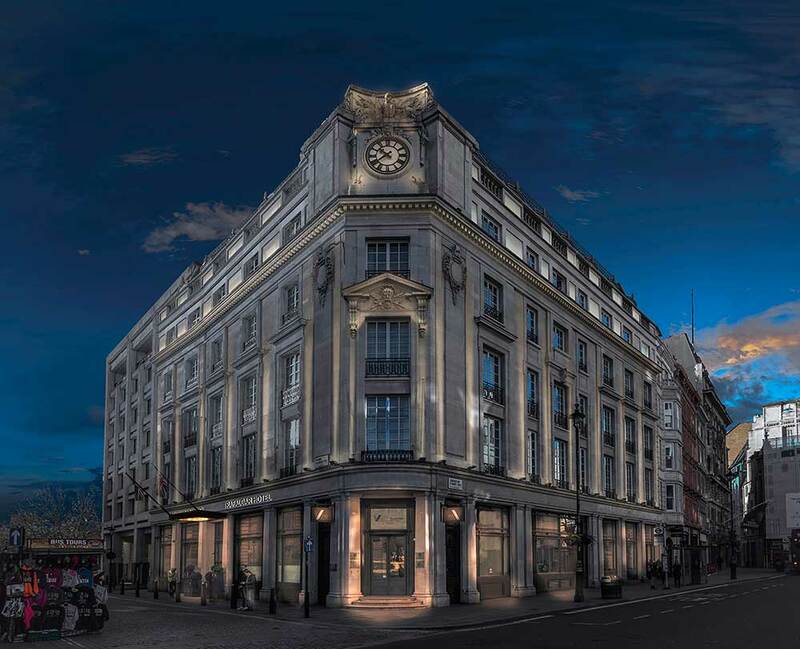 The Trafalgar has launched as a brand new hotel, The Trafalgar St. James as part of Curio Collection by Hilton. 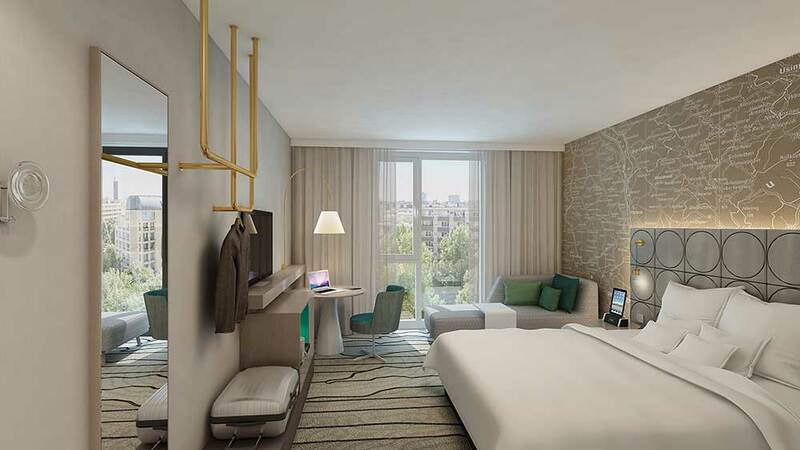 Tucked away on the south side of the world-famous Trafalgar Square, the official centre of London, the hotel will bring a new level of excitement, vibrancy and sense of discovery to the capital, capturing the hearts of Londoners and visitors alike. 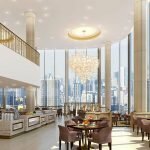 The hotel will feature 131 rooms, with 15 suites (including 3 signature suites), an all-day dining grill restaurant, The Trafalgar Dining Rooms; a year-round outdoor space, The Rooftop; and a downstairs private lounge, Biblio. 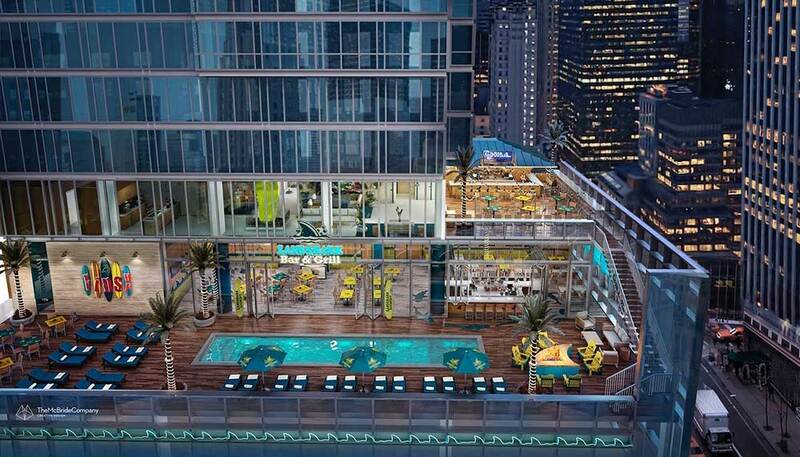 The hotel will be part of the Curio Collection by Hilton.